Before we get to the meat of this post, we’re going to say two things up front. First, as noted in the title, the closed beta for this game is available in Korea only. Second, we’re… really not sure what the monetization status on this game will be. It could be pay-to-play, but for now we’re guessing that since it’s a MOBA-style game, it’ll be free-to-play. Either way, it’s kind of cool looking. Those two things taken care of, let’s get down to business. 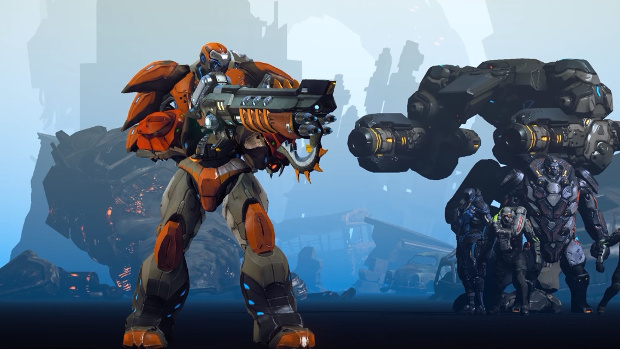 Korean developer Reloaded Studios has launched the first closed beta test for its upcoming MOBA, The Day Online. This new sci-fi style game offers several playable characters — from scantly-clad girls wielding lolly-pop weapons to mechs — for players to choose from. You can get a peek at some of the in game action in the video below. There are also a couple of first-look style videos from Steparu.com that’ll give you a peek at some of the game’s features. Game looks like omelette, but after you vomit it. Definitely a F2P game (looks lazy and stupid), just another one with over exaggerated characters, from the cute loli to the badass mech, 0 hype.